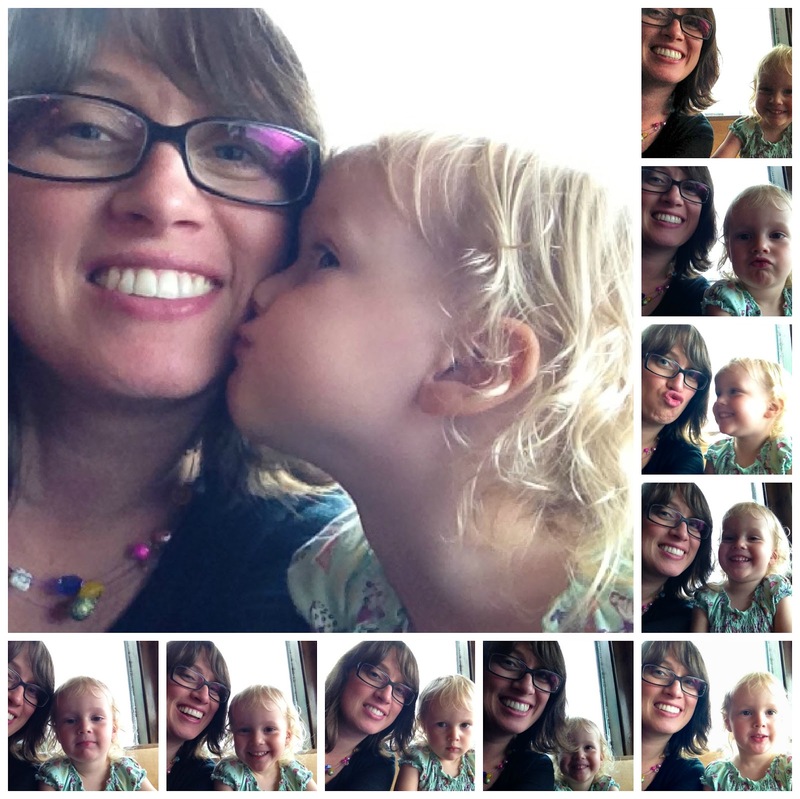 An Exciting, Colourful Birthday Party! 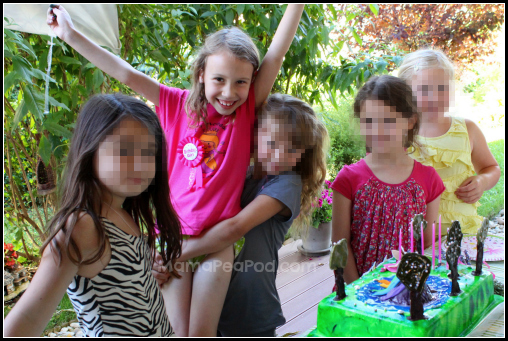 Princess Pea turned 7 last week, and this year she really tested my creative party planning skills by requesting a 'Science Fairy' party! (Erm...sure, honey, I can do that!) 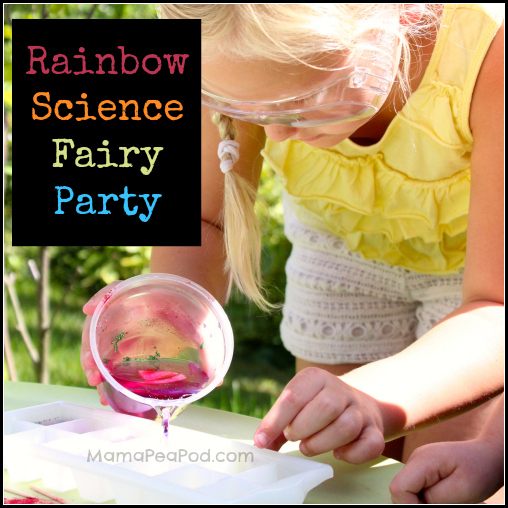 So, I put on my party planning hat and set out creating a Rainbow Magic Fairies Science Adventure party! 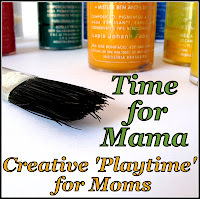 It needed to involve fairies, magic, science experiments, and plenty of colourful fun! 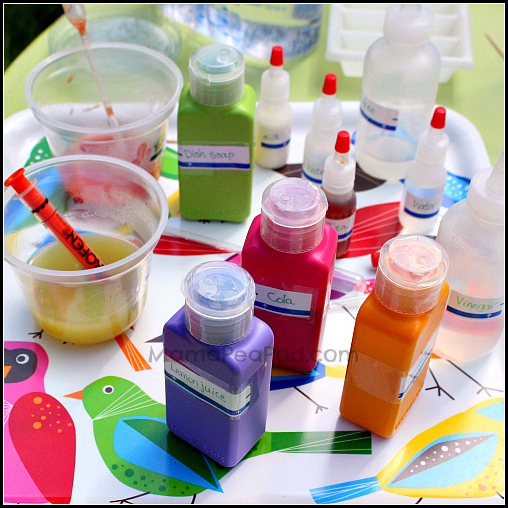 Read on to see what we did to create this super-fun, super-colourful, crazy party! Her favourite books are the Rainbow Magic Fairies series [affiliate link]. 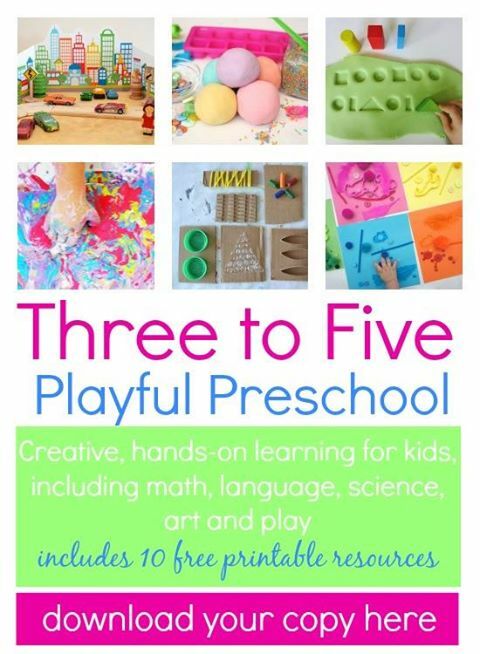 If you don't know it, check it out, they're actually pretty good books if your child is into imagination and adventure. The stories are well-written and she also likes that there is a fairy with her name, her sister's name, and the names of pretty much all of her friends, too - there are over 100 books in the series, each named after a different fairy, so there's a good chance you can find one with your daughter's name, too. Although they are fairies (inherently traditionally 'girly' to some extent), the fairies themselves have a variety of interests, so something to match most any interest your children may have - be it animals or sports or dance, or whatever. I think they've really helped my 'girly-girl' to widen her horizons, and I appreciate them for that. 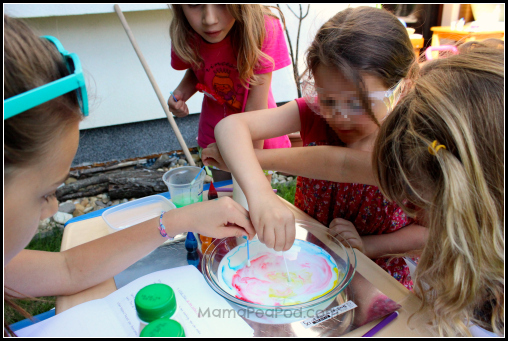 = Rainbow Magic Fairies Science Adventure! I created a story to build the party around. In the series, the antagonists are Jack Frost and his band of dull-witted goblins, who always cause trouble by messing with the fairies' magical items that they use to control events in the human world. So in our story, Jack Frost was deliberately mixing up all the colours in Fairyland, which the fairies use to colour our world as we know it, and the fairies needed our help to sort out all the colours again. Well, as it happens, that is exactly what the evil Jack Frost wants! The colours you see all around you in the human world are controlled by the fairies in Fairyland. But Jack Frost and his band of wicked goblins have mixed up all the colours in Fairyland, and now the fairies are all mixed up and confused! And if the fairies don’t get all their colours back and sorted out, pretty soon all the colours in the human world will disappear! The fairies in Fairyland are very worried and we are asking for your help… You will need to use your science skills, some science fairy magic, and your powers of observation (looking carefully) to help us sort out all the colours! Work together with your friends. 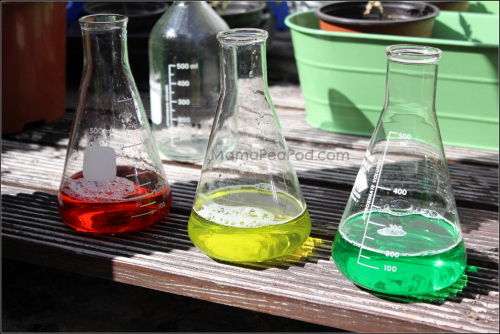 Remember to record all your observations in your science notes so you can remember how to fix the colours. Thank you for always helping us! You are truly wonderful friends. The girls were then divided into small groups, each with an adult/helper. Each girl got a packet with the letter, the rest of the story including the directions for all the experiments, and science notes pages for each experiment if they chose to record their observations (some did, some didn't - my daughter took it very seriously, haha!) 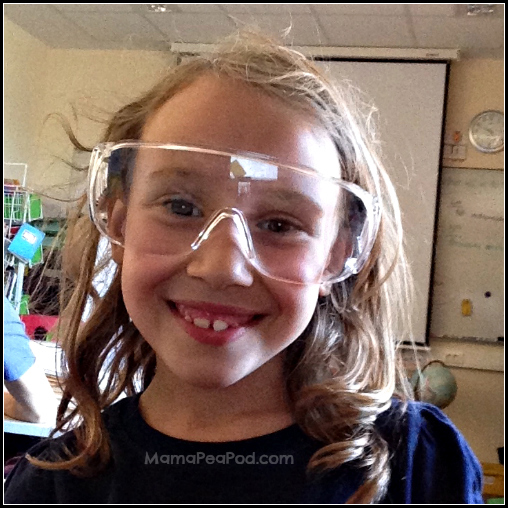 Then they each got a pair of science goggles to wear (we borrowed them from our science teacher friend), which they thought was really cool! 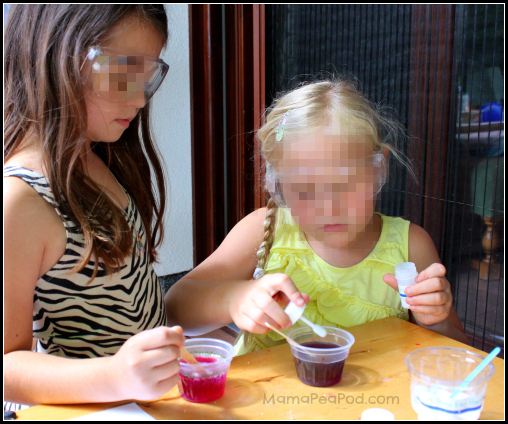 The first thing they had to do was mix up some Magic Fairy Crystals. 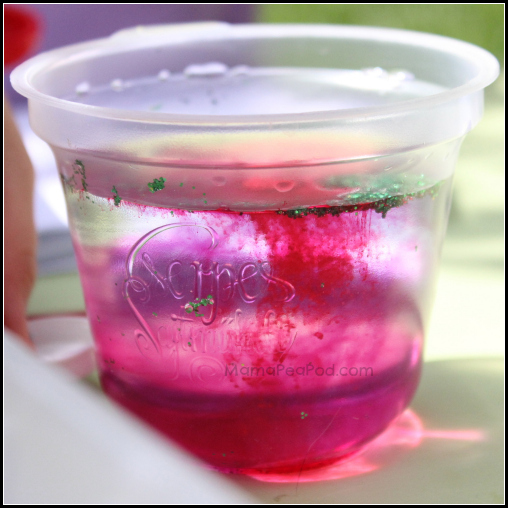 "The Science Fairies have some SPECIAL FAIRY CRYSTALS that have magic powers. They have sent us some to give us temporary magic fairy powers, so that we can help the rainbow fairies to find all their colours." 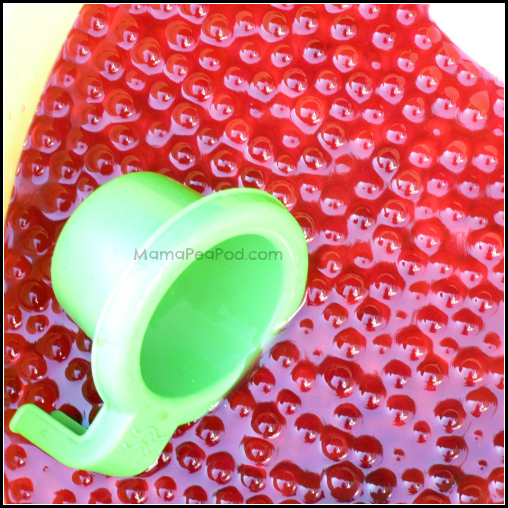 Over the course of the party, the tiny magic crystals (which were really water beads) grew bigger and bigger and they had fun playing with them at the end. "In Fairyland, there is the most beautiful, crystal clear waterfall that flows into a lake with a rainbow volcano in the middle! Unfortunately, Jack Frost has turned all the water in the waterfall and lake purple!" "Jack Frost has cleverly hidden colours all around us so the fairies won’t find them! 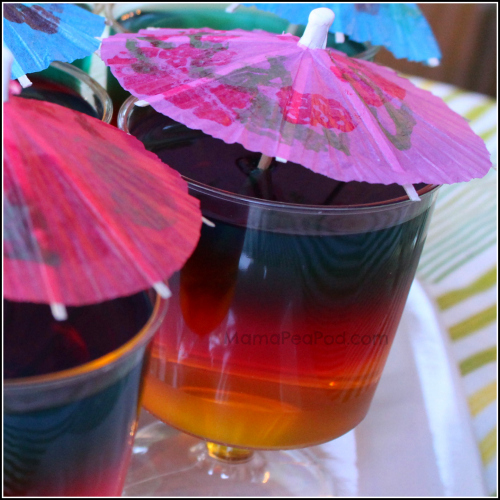 See what colours you can find hidden in these everyday liquids." "Have you been checking your magic fairy crystals? Are your magic fairy powers working yet? Let’s test them and see…"
They did a cool surface tension experiment to see if their fairy powers (that they'd gotten from the Magic Fairy Crystals, of course) had kicked in yet. Now that their fairy powers were working, they were ready to make some magic! "Now that your magic fairy powers are working, you can make some colours come alive." They had to put their understanding of basic physics to work with the next activity. "Make a boat to help the fairies float across the fairy lake to where Jack Frost and the goblins are hiding. Choose whatever materials here you think will help you. 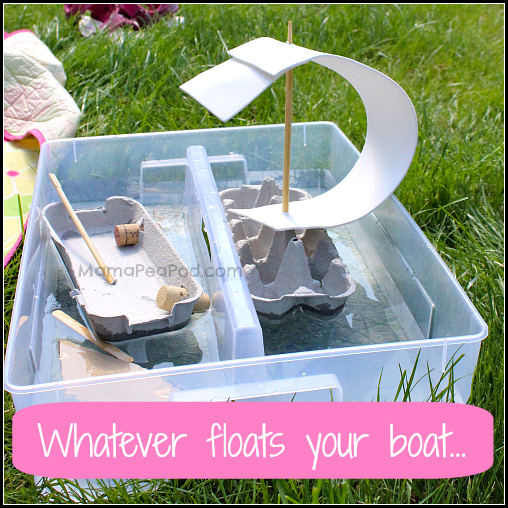 Then test your boat to see if it floats." 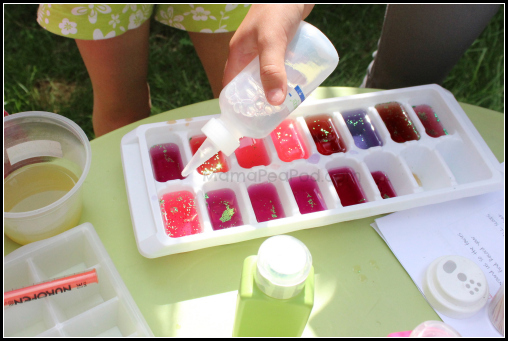 Their final experiment involved lots of colourful, fizzing fun! "Lookout! 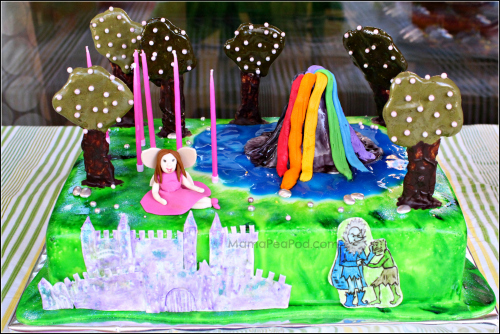 The Fairyland rainbow volcano is about to erupt! Hopefully it will help us to get back some more colours!" 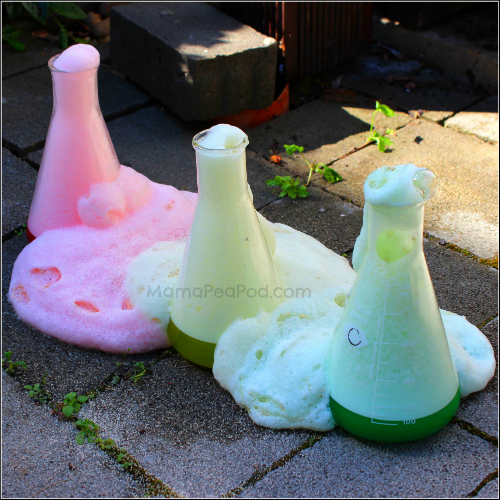 The grand finale was blasting Jack Frost and his wicked goblins right out of Fairyland with this Rainbow Blast experiment (otherwise known as elephant toothpaste!) 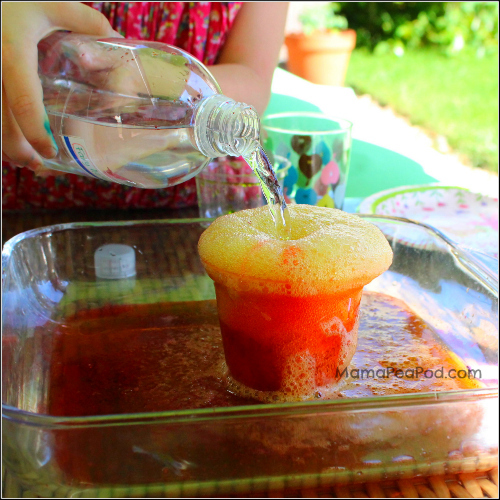 We used a slightly stronger concentration of ingredients to make it really blast out. 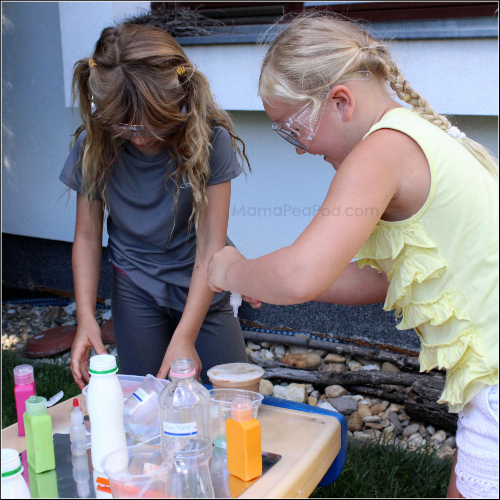 And finally, the girls had fun mixing up their own magic potions and eating some rainbow snacks! I recruited a 13 year old helper to take one of the groups so that each group would have an 'adult' to help them with the experiment directions. We also made it more manageable by only inviting a few friends. 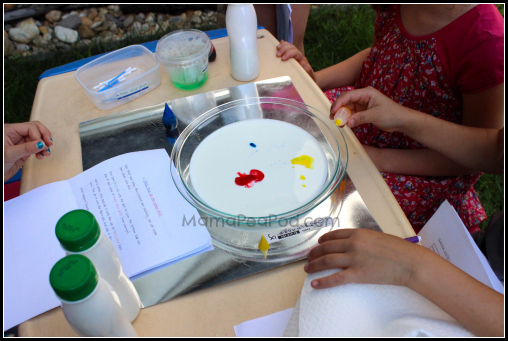 We held the party outdoors, but even so I wanted to minimize the mess as much as possible, so each experiment was set up on a tray or in a large baking dish. It worked well at containing the mess, and the clean up was really easy. 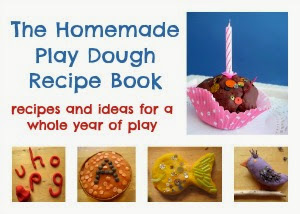 The girls each took home their story/experiment packet (with explanations of what all the 'magical' ingredients really are, in case they want to do them again at home), their boats they had built, and a Rainbow Magic Fairies book as their party favour. We ordered this fairy-themed party set. All product links in this post are affiliate links. By clicking these links, at no extra cost to you, we get a small percentage of the sales cost in exchange for advertising the products from Amazon.com.